So, we have all been accepted into PA school, we have survived or are surviving PA school, and last but not least, you have passed the PANCE. All of these tasks are daunting individually, but next, we get into practice and boom! Before you know it, it’s going to be time for the PANRE. Today we are going to be talking about the alternative PANRE specifically, but to do this, we have to more appropriately talk about the certification process along with the original PANRE first. Just like for adults in your healthcare practice, we preach preventive medicine and health maintenance. This same goes for physician assistants and maintaining their certification as well. When maintaining one’s NCCPA certification, each individual must pay a maintenance fee of 50 dollars every two years. This payment must be completed by December 31st of the year that your certification is due to expire. The remaining 50 hours being category one or category two. There is a myriad of options and ways to attain these hours over each two-year cycle. Look here for a breakdown on continuing medical education options for physician assistants. Every six or ten years (dependent upon the certification cycle that a PA is included) a licensed physician assistant must complete the recertification examination. This is a multiple-choice examination, with a similar set up as the PANCE. For those clinicians who are on the six-year cycle, one is able to take the PANRE in the fifth or sixth years of the certification cycle. For those physician assistants who are on the ten-year cycle, one is able to take the PANRE in the ninth and tenth years of their certification cycle. A PA can take the PANRE up to two times in the fifth or ninth year, and up to three times in the sixth or tenth year of their respective cycles; however, there is a maximum number of total attempts, which is four. This original PANRE is still an available option for clinicians who are recertifying. Starting in January 2019 the NCCPA released a new program as an alternative option for practicing physician assistants to continue their recertification. In the NCCPA PANRE pilot program, those participating will answer twenty-five test questions quarterly for two years. A big complaint that practicing clinicians had about the traditional PANRE was that the content and questions that were asked on the exam were not pertinent to the practicing clinician. Well, the multiple-choice questions in the pilot PANRE are developed by physician assistants and aim to assess core medical knowledge. This core medical knowledge is believed to be the knowledge that all physician assistants should maintain through clinical practice, regardless of what specialty or what setting in which they practice. Those who choose to participate in the PANRE pilot are encouraged to complete the assigned questions without using references to aid in identifying deficits in knowledge. Once completing a question on the alternative PANRE, test takers will receive immediate feedback on whether the answer selected is correct or incorrect, but more importantly, why the correct answer was indeed the right choice. Additionally, there will be a list of references provided on the specific topic. Just like with the PANCE, the original PANRE, and the Certificates of Added Qualifications, the NCCPA is creating a group of practicing physician assistants to aid in determining the passing standards for the PANRE changes. Due to this examination being novel, the NCCPA needs to have a sufficient sample size collected to acquire enough data before being able to provide a final passing score. Just like with each and every NCCPA examination, a content-based standard (also known as a criterion-referenced standard) will be set for the alternative PANRE. Therefore, if all of the pilot PANRE testing takers meet this standard, then everyone will pass the examination. 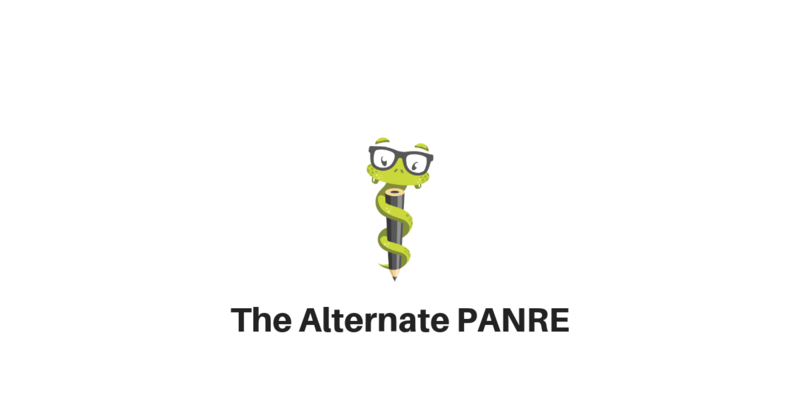 The examination content for the alternative PANRE can be summarized into the PANRE pilot content blueprint. Additionally, here is a breakdown of the PANRE pilot examination content blueprint organized by content area and assessment level. Just like with the PANCE, the most advisable way to attack studying for the pilot alternative PANRE, is to create an alternative PANRE study guide. The best way to do so is by sticking to the pilot PANRE blueprint and mastering the content that listed. The diseases that may be covered on the PANRE and alternative PANRE may be tested at different levels. Level 1: recognize the most likely diagnosis by using signs, symptoms, and risk factors and being able to determine appropriate referral. Level 2: be able to make the diagnosis by signs, symptoms, risk factors, and interpreting results of tests and studies, as well as knowing the first line treatments. Level 3: be able to make the diagnosis by signs, symptoms, risk factors, and interpreting results of tests and studies, as well as knowing the first line treatments. Additionally, you must have knowledge of how to manage known comorbid conditions, contraindications, and possible complications. This further detail that is provided in the respective blueprints should help provide the depth of knowledge that must be mastered on each specific topic that could potentially be tested upon on your examination. I hope this article provided information on the options that are currently available for testing for recertification for physician assistants. If you have any question feel free to reach out to us! Instagram, Facebook, Email, YouTube, or via the Medgeeks website. We thrive on your feedback, so let us have it! Until next time!